Reading Time is the Right Time! March is National Reading Month! During this month, we are encouraged to read every single day. One of my favorite things to do is read to my six-month-old grandson. He loves to hear the stories, look at the pictures, and touch the pages of a board book. He especially loves it if there is a song involved in the story. The joy in his eyes and the laughter he emits when we are reading is enough to keep me reading to him regularly. But you might wonder why it is so important to read to children, including infants. Reading to children exposes them to language and words, including the sounds of speech and vocabulary. Children also learn how speech is put together. In English, for example, the description of the word comes before the noun (red ball). These are important skills when children learn to read for themselves. Reading to young children regularly also helps them to gain a love for reading, which will be helpful throughout their school experience as well as throughout life. In October 2016, The Michigan Legislature passed a critical law that will have tremendous implications upon current kindergarten students. Beginning with the 2019-2020 school year, third-graders could be retained if they demonstrate reading proficiency levels that are more than one level behind. Read more about how Wayne RESA is informing and supporting families here. This month, start a reading routine. To do this, find a consistent, comfy place you and your child can read daily. Try to read at the same time each day. Before bed as part of a bedtime routine is a great time as it helps the child to have a calming activity immediately before going to sleep. Choose books that you and your child are interested in. If your child chooses a book that is wordy, you can always picture read, or skip some of the text to keep your child’s attention. Make sure to read many different types of books: rhyming books, information books, story books, picture books, etc. Take regular trips to the local library so your child can choose new books to have read to her often. Also, don’t be afraid to read the same books over and over as repetition is also important. Make reading a family activity. Studies suggest that reading together helps build stronger bonds between parents and children. And most importantly, have fun! Reading can be a new adventure daily. Make the most of it! Happy reading! Join our #WayneRESAreads social media campaign by sharing some photos of your family reading! Find us on Facebook! 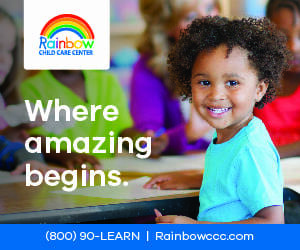 Great Start Readiness Program is a Michigan state-funded preschool program for four-year-old children with factors which may place them at risk of educational failure. 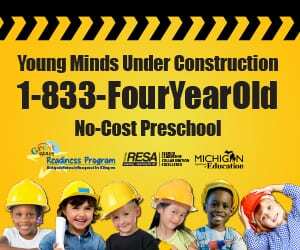 The program is administered by the Michigan Department of Education, Office of Great Start. Funding is allocated to Wayne RESA to administer the program locally. These blogs were developed and funded under a grant awarded by the Michigan Department of Education. Research on preschool programs and specific research on GSRP indicates that children provided with a high-quality preschool experience show significant positive developmental differences when compared to children from the same backgrounds who did not attend a high-quality preschool program.